A spectacular fireworks display is being held tomorrow in the Grand Harbour on the eve of the feast of St Lawrence. 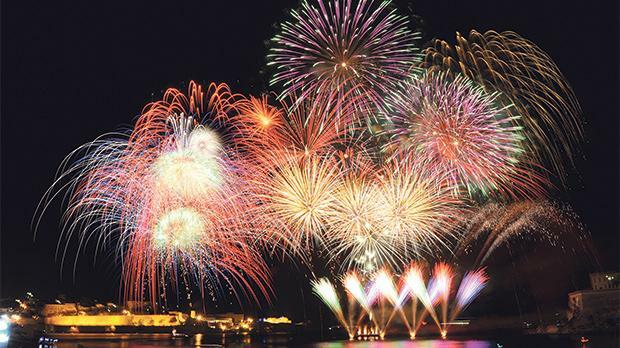 Organised by the 10th August Pyrotechnic Association of Vittoriosa, the Notte di San Lorenzo at Kalkara Creek will feature traditional fireworks, including multi-break crackered shells and pyro-musical shows to the music of Gerry Glitter, Alan Walker and Jon Bon Jovi, among others. The grand finale will include fireworks synchronised to soundtracks from films shot in Malta, such as Midnight Express, Troy, Gladiator and The Count of Montecristo. Nearby the Vittoriosa Regatta Club, there will be special light effects and commentary by DJ Dorian Cassar. As a prelude to the fireworks show, from 8.30pm onwards, there will be band marches by the Our Lady of Mount Carmel Band of Balluta and following the spectacle, a ground fireworks display will be held at the Vittoriosa Marina. This year, fireworks have been manufactured by D’Amato brothers and Colin Muscat and also by six fireworks factories – the 25th November of Żejtun, St George of Qormi, St Andrew’s Band of Luqa, St Joseph of Għaxaq, St Mary of Mqabba and Our Lady of Lourdes of Qrendi. All shows are coordinated and choreographed by the 10th August Pyrotechnic Association. The event will kick off at 10pm near the Vittoriosa Regatta Club ( Kalkara Creek). One can reach the venue via Kalkara gate and then taking the first turning on the left. Near the Kalkara Gate, there’s also a large parking area – Fortin Football Ground. The organisers are also encouraging those attending to make use of the ferry services from Valletta to minimise traffic congestions.